As I was doing some research on great logos that showcase ambiguity of positive/negative space, I came across this one. It is a logo for Mann Music and is designed by Nadir Balcikli. He specializes in logo’s and branding and his website is http://www.logorado.com. I admire the logo because it is very creative and thoughtful. Only dark brown (almost black) and white are used, which I love because the high contrast immediately catches my attention. 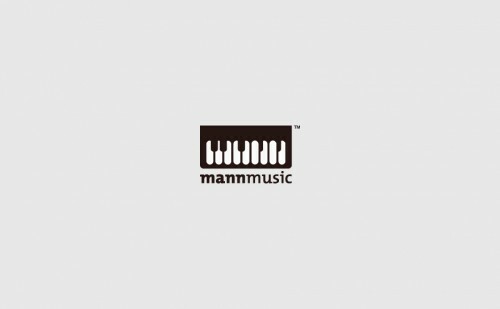 When I first set my eyes on this logo, the only thing I noticed was piano keys above the words “mann music.” But after staring at it for a few more seconds, I realized that the piano key’s thoughtfully spell out “mann,” due to the positive and negative spaces. It is a simple but lovely logo and I think that it is just wonderful! Previous Previous post: The perfect identity system for Saks Fifth Avenue!